At some point, when you are involved in some outdoor expeditions where survival is a real possibility, it’s imperative to have the best water filter the market can provide. It’s a fact that in a survival condition, the need for clean, fresh, and drinkable water is crucial as this may mean the difference between life and death. The human body requires water to function, and if you go longer without it, you will be as good as dead. There have been situations where people lasted for days without taking water, but the message remains the same – water is life. 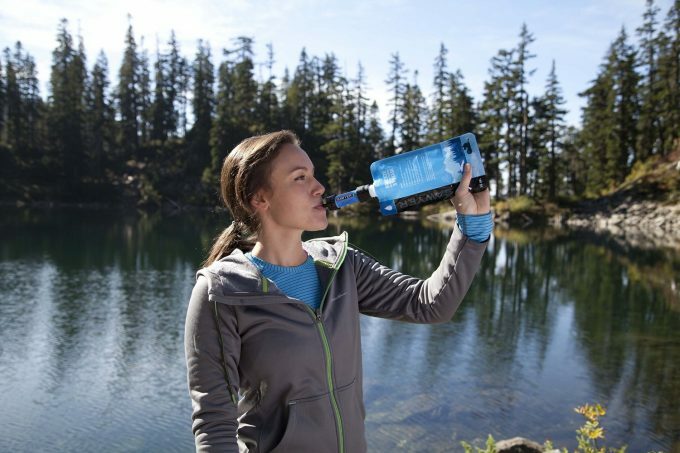 A water filter can help you to purify water from various sources, including lakes and rivers so as to ensure you remain hydrated while on the trail. In a survival condition, equipment as simple as a filter can increase your chances of survival. Today, we review the mini sawyer filtration system, which is just what you need for all your outdoor adventures. Be it for camping, hiking or even for emergencies, this product has been designed to suit your every need. No more worrying about drinking contaminated water or catching bacteria diseases when you are out there. The filter will come through for you whether you are drinking from fresh or dirty water sources.The best part? It’s easy to set up, use and carry around. Keep reading to get the full details about this amazing product. The mini filtration system comes in nine colors, ranging from black to lighter shades like pink. You can order either a single pack, a 2-pack or a 4-pack. With only a weight of 0.26 pounds when shipping, you will have your package delivered hassle free a few days after your purchase. You can always have your package gift wrapped if you want. Other items you will get with the package include a 16 Oz., reusable, squeeze pouch, a 7 inch drinking straw, and a cleaning syringe. The total weight of the whole system is therefore 3.98 Oz; filter 1.98 Oz., syringe 1.13 Oz., and pouch with screw cap 0.87 Oz. The system doesn’t come with fill adapters. You will have to buy these items separately because they will come in handy. The Fast Fill Adapters will cost you approx. $8. This filtration system has been designed for total convenience while you are out travelling, hiking, camping or just for emergency purposes. It’s made out of lightweight material and weighs 2 ounces, which means it fits in your backpack perfectly. The best part? It has undergone the highest level of filtration which speaks volumes about the performance. And that’s not all. The filtration system is super small and convenient such that it can fit just effortlessly in the palm of your hands. The product is impeccably designed to enable you sip water from a container or even from a water source easily. If you have a hydration pack, you can also attach it inline and use it without any complications. The Sawyer Mini boasts of a life of a hundred thousand gallons (this is 378,541 liters) so you are confident that your equipment can last for a long time without losing its efficacy. Apart from being utilized in a similar manner as a Sawyer Squeeze (filtering from a Sawyer bag into a water containment device), this product lends itself to all kinds of filtering. If you want to drink directly from a store-bought bottle, the Sawyer Mini will attach onto most devices and save you the amount of time you would have used to filter the water. If you do not want to think about filtration, you can use the Sawyer Mini inline with your bladder. 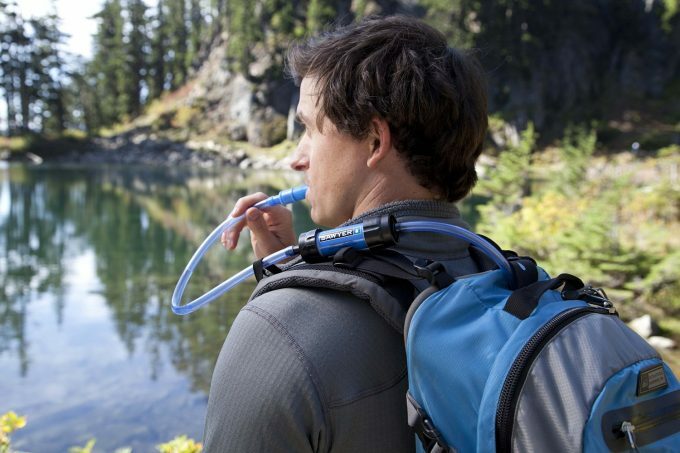 This product also allows you to drink straight from a lake of a river without having to worry about water purification as the equipment takes care of that part. With the 0.1-micron pore size in the hollow membrane filter, the Sawyer Mini is effective against bacteria, protozoa, and the Cryptosporidium although it doesn’t treat for viruses. Since this equipment does not utilize batteries and lacks moving parts, it’s highly unlikely that the Sawyer Mini will break or break down when you are in the wilderness where it’s needed the most. If you are an outdoor enthusiast, you will find this equipment very reliable. However, you will notice that after a few days of utilizing the filter in treating your water as well as your friend’s it begins to get much difficult to squeeze the water out of the filter. As mentioned earlier, when this happens, you have no option but to backflush and this can be done using an included syringe. It’s an easy process and only takes a few minutes. This process is less involving than with pump filters. The syringe weighs about an ounce and it’s advisable always to have it with you whenever you are in the wilderness for an extended period. Although the included soft bottle is relatively long lasting, you may need to replace it after a few long trips. Always be keen not to ensure your filter unit freezes as this destroys the hollow fiber membrane. You can take it to your tent at night, to ensure such a case does not occur. In addition to its simplistic nature, the Sawyer Mini can be used in different ways. You can use this filter to drink water directly from the source. This is achievable if you have an extra straw attachment which is included in the filter package. However, this has a downside in that the straw could get lost since it’s a separate piece, but it’s also advantageous in that having a separate piece allows the filter to be smaller and lighter. The Sawyer Mini can be screwed onto any small-mouthed bottle making it possible for you to drink directly as long as you squeeze the bottle. A single 16 oz. soft bottle is included with the filter, but the Sawyer Mini can also work with other small bottles. This is handy as it makes it possible for you to carry water between sources. Has a high performance filter weighing just 2 oz. which can fit faultlessly in the palm of your hand, making it convenient for use and portable. The mini Sawyer is fitted with absolute hollow fiber membrane inline filter that has 0.1 microns, which make it impossible for harmful bacteria, protozoa or cysts to pass through and contaminate your water. It can easily remove 7 log (99.99999%) bacteria and 6 log (99.9999%) protozoa, which even exceeds US EPA standards. The product is designed to attach perfectly to your drinking pouch, standard disposable bottles, hydration packs and has a straw you can sue to drink directly from your water source. You won’t have to use any adapters. The system can filter up to 100.000 gallons of water therefore you will be sorted all throughout your camping trip. The particular mini sawyer comes as a single pack and will only cost you approx. $20 which won’t break your bank. Keep in mind that if you want the hydration packs and the water pouches, you have to buy them separately. If you need more than one pack, and are looking for the best value for your money, just buy 4 individual systems as opposed to one system with a 4-pack. This will cost you less and you will end up saving money, you can use to purchase the other items. Unless of course you are going for 4 different colors and the price is no factor. Currently, there is no guarantee or warranty given with the purchase on Amazon. When it’s time to make the purchase, please contact the manufacturers to inquire on whether they offer any refunds in case you are not satisfied with your product. 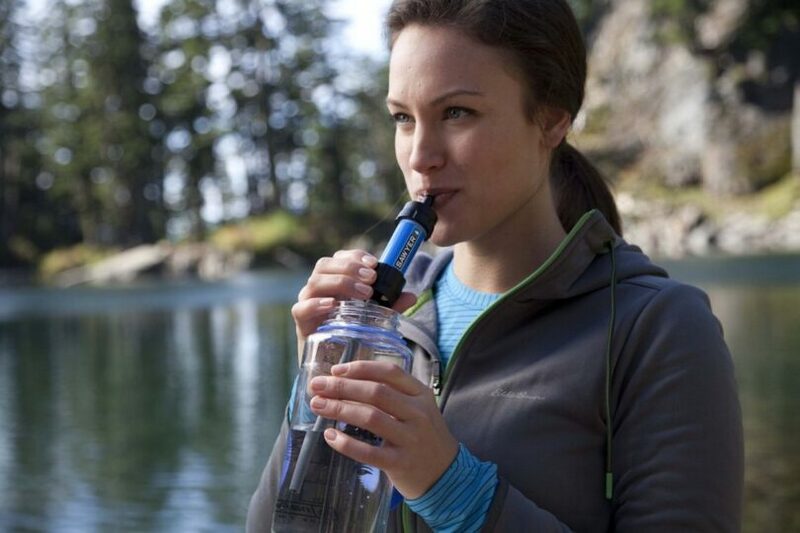 The LifeStraw Personal Water Filter is an award-winning filter which has been designed to remove a minimum of 99.9999% of waterborne bacteria and protozoa, and to surpass the EPA standards set for water filters. 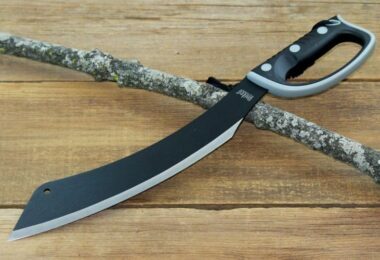 It’s perfect for preparedness and survival, international travel, hiking, camping, hunting and fishing expeditions and is widely used by international NGO’s. This product comes in a sealed bag which is perfect for emergencies. Moreover, it can filter up to 1000 liters of contaminated water without using harmful chemicals such as iodine and chlorine. 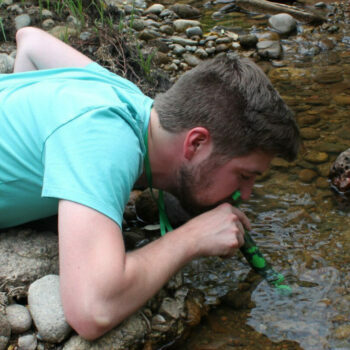 With no need for batteries and no moving parts, the LifeStraw is highly durable. 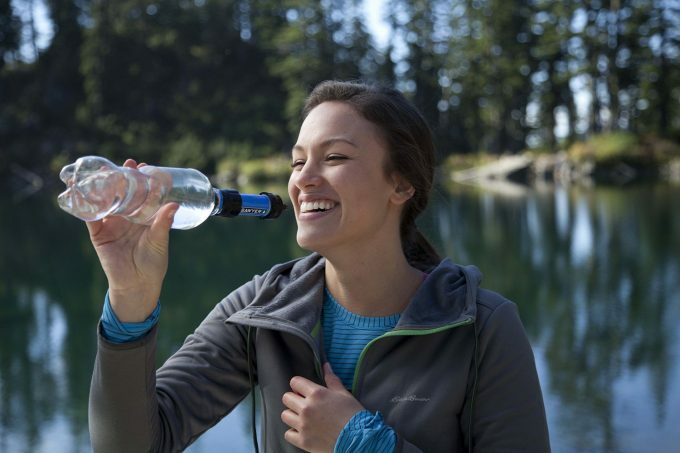 Weighing only 2 oz., this is the perfect filter because it’s not only compact and easy to carry, but also it’s an ultra-light solution to your clean drinking needs when you are outdoors. You don’t have to carry water with you which is quite bulky; you can simply drink from your nearest water source. We would recommend this straw if you needed a highly efficient and durable filter at a good price, which is approx. $20. It uses an advanced 0.2 fiber membrane technology, which is superior to the mini sawyer’s 0.1 microns. Furthermore, if you wanted a filter that comes in more than one pack or more colors, then the LifeStraw will disappoint you because it only comes in one blue color. 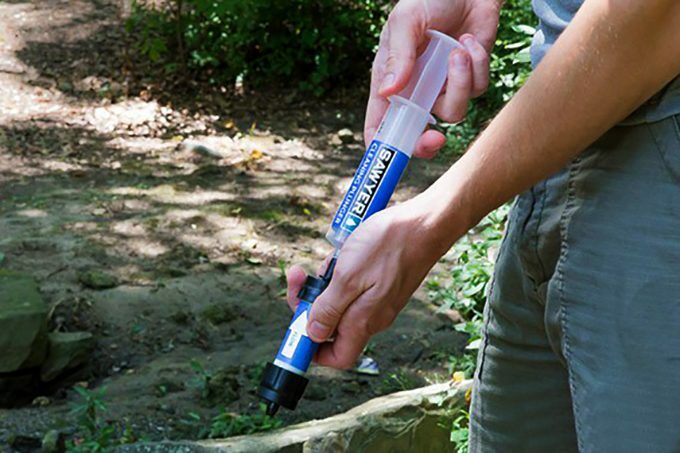 The Life Defender Survival Water Filter is ultra-lightweight and it’s designed for hiking, hunting and camping. It comes either in camo or blue and has a carrying strap that helps you attach it to your water bottle or just use the included extension straw. With each purchase you make, $1 goes to support the water organization mission. It’s made of light materials and weights 2 oz. making it super compact and easy to travel with since it fits in your pocket or travelling bag without adding any weight. This filter removes 99.9% of waterborne bacteria and protozoa down to 0.1 microns and is said to filter 50% more gallons than the LifeStraw we reviewed earlier on. And that’s not all. The life defender is BPA free and chemical free. It has adapted the use of hollow fiber UF membrane with industry leading edge coconut activated carbon, which aids in superior filtration and reduction of heavy metals and chlorine. Purchasing this filter will set you back some $25 after a discount of 24%, which will save you approx. $8 that you can use to acquire other related items. The price is one of the reasons why you should consider going for the life defender and not the mini sawyer filter. The other reason is its durability and guarantee. It has a 5 year shelf life and a 100% money back guarantee in case you are not satisfied with the product, unlike the mini sawyer. Additionally, you can drink up to 1500 liters of pure water directly from water sources which is on the higher side when comparing with the other reviewed filters. Users are cautioned against using the filter to drink water out of polluted water sources because it doesn’t eliminate viruses. This you can only do by boiling the water. Are you in the market for a high performance an affordable water filter? 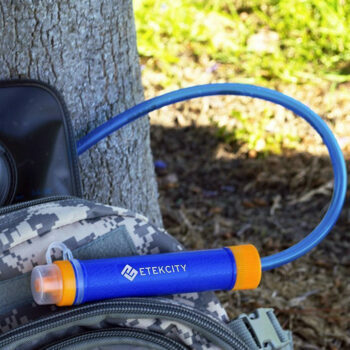 The Etekcity Portable Filtration Straw is just the product for you. Why? It comes in two colors; blue and orange, has a 3 stage advanced filtration that includes a pre-filter, anti-bacterial activated carbon filter and 0.01 microns hollow fiber UF membrane inline filter that removes 99.99999% of bacteria and protozoa. And that’s not all. This filter has been tested by the TuV SuD institute and certified to have met the EPA water quality standards. With the purchase, you will get a foldable pouch for collecting water, a longer straw that you can attach to the filter and a syringe to help you clean and maintain the product’s lifespan. The product is also small and lightweight, which makes it perfect to carry around during your outdoor adventures. If you are a camper, backpacker, scout or need a water filter for emergency preparedness, this is your chance to acquire one of the best there is in the market. With the filter, you can filter up to 1500 liters of safe drinking water from any water source, be it clean or dirty. 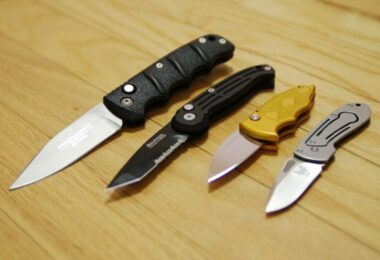 Unless you can afford its price tag of around $20, which is after getting a 37% discount, then you should just settle for buying the mini sawyer. Otherwise, if you are not afraid of spending as long as you get a value for your money, the Etekcity filter should be your outdoor companion. One flaw you might not overlook is that the pre-filter might make it hard for you to draw water if it gets too clogged. To avoid this, always keep the straw clean. Also, the pouches that come with the filter are a tad small, hence you should consider buying larger pouches that will help you carry more water. 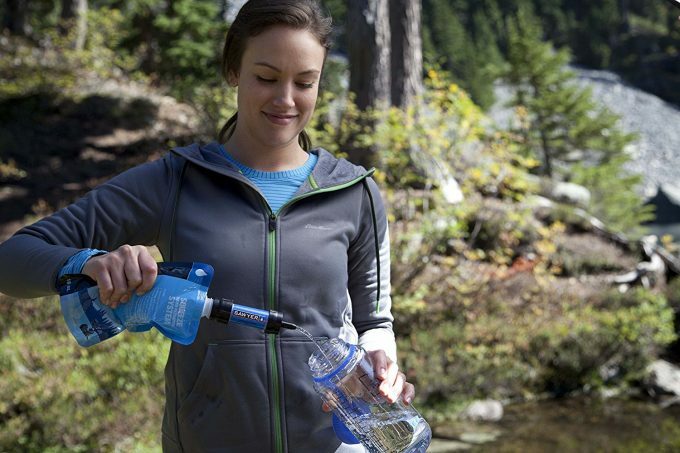 When you are planning to embark on a backpacking tour, make sure you take with you one of the lightest and most compact filtering device – the Sawyer Mini Water Filter. With this equipment, you will no longer need to worry about consuming contaminated water as the Sawyer Mini protects against protozoa and bacteria. Additionally, it is a light product that can easily be included in your pack without having to worry about an increase in weight. One of the lightest and smallest filters available on the market, you would expect that in choosing a Sawyer Mini Filter, you are sacrificing some features or convenience offered by the heavier filtration equipment. It is a versatile equipment as it can be used with a straw, or attached to a bottle. Its adaptability of one of the greatest advantages of the Sawyer Mini Filter. As part of maintenance, back flushing is needed to keep the Mini flowing. 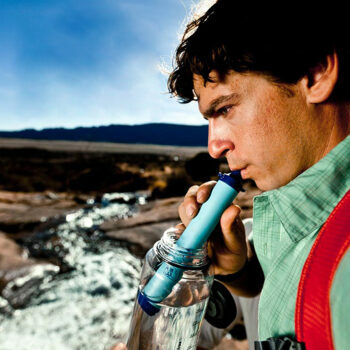 You have to squeeze the water through the filter, which can be tedious when you are hiking with a group. Does not remove chemicals, viruses or dissolved solids in water. The 16 oz. pouch isn’t large enough for backpacking expeditions. If the Mini Filter freezes in the sub-zero temperatures, it could damage its interior. Filling your squeeze bag from a river or lake can be tricky when doing it for the first time. 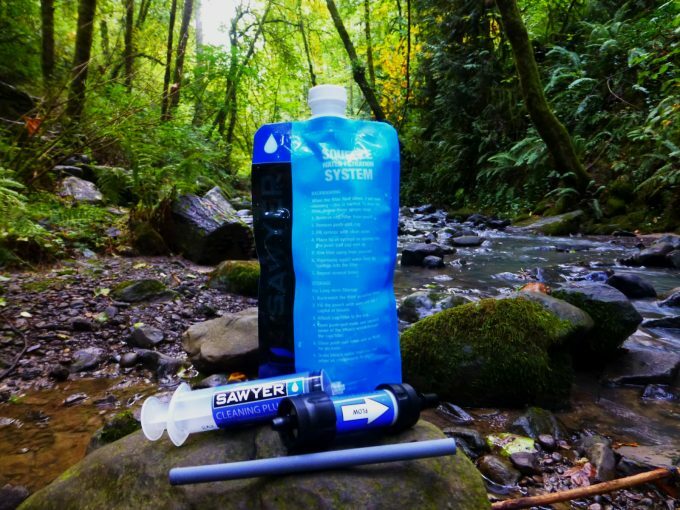 Yet, the Sawyer Mini Filter does amaze, and as long as you are determined and have the perseverance needed to maintain this filter while on the trail, and as long as you use the Sawyer bags in filtering large water quantities, then this is just what you require in a filtration system. 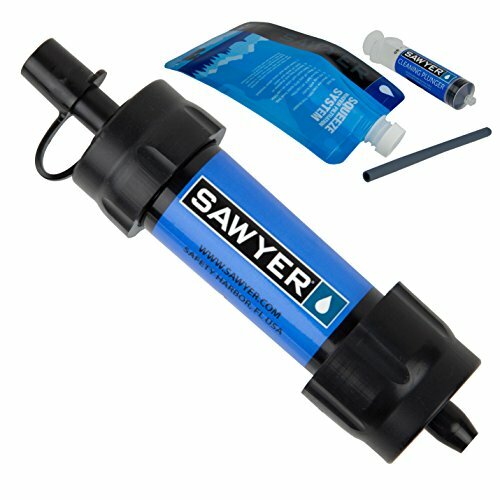 The Sawyer Mini Water Filtration System is a second-generation filter, and the lightest yet most versatile filtration equipment from Sawyer. With the weight of two ounces, this product fits perfectly into your palm. This tiny filtration equipment does a job similar to the Sawyer PointOne filter, but now in a personal and more compact size. The Sawyer Mini is perfect for various applications, including traveling abroad, camping with kids, scouting, hiking, and any other situations where water cannot be trusted. So, there you have it. Did you find this review informative? Have you owned a Sawyer Mini Filter before? Let us know what features you loved the most. If you have any questions or suggestions, you can post them in our comment section. Shares are also appreciated.